The Avenue development is located in the Jersey city neighborhood - The Heights. 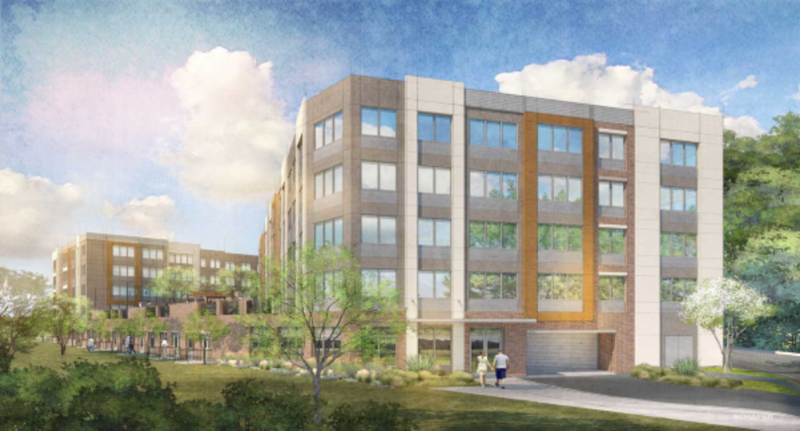 It will be a 4 story building that will include 131 rental units and an underground garage. The project is in a prime location for commuters as the 2nd Street stop on the Hudson-Bergen Light Rail is located just three blocks away. This development is situated on a unique topography that will allow the bottom most floors to have views of the Manhattan skyline. The adjacent property along New York Avenue will be developed into a public park.